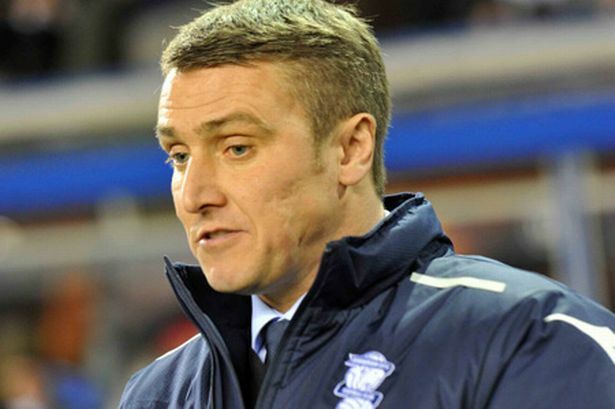 Lee Clark has revealed his intention to remould Blues into his ideal way of playing. He said there were glimpses of what he hoped was to come in the future in Tuesday’s game against Blackpool. “What I tried to do – and this isn’t being disrespectful to the players who weren’t in the side, because we had some of it on the bench as well – was have a high-energy group of players who could cover the ground quickly, who could be competitive and play what I like to see, high-tempo football,” said Clark. “And we did that in abundance. I felt we played with great energy, there was a lot of positives to take from the performance. “Ultimately, that’s what I am looking to do, on a game-by-game basis. “That’s the way I want to play, that’s the way I want my teams to play. To that end the summer is going to be such a critical period as 19 players are out of contract at St Andrew’s. Given the wherewithal – which would only most likely come if there was a change in ownership and fresh investment – there is scope for major change to the make-up of the squad. At present, the key issue is to ensure that Blues don’t get dragged down into the Championship relegation zone. They are five points clear in a bunched-up division. Nine points separate 13 teams, from Bristol City at the bottom to Saturday’s opponents Derby County in 12th. Clark pointed out that the balance of the Blues side in midweek was good, too. “I don’t know if people realised it but it was quite unique in today’s world in that we had five left-footers and five right-footers in the ten,’’ he said. “We had left-footers at left-back, left-side centre-half, left central midfield, left-wing and left-side striker – and right-footers on the right in those positions. Clark said he wanted Blues to continue in the same vein against the Rams at St Andrew’s on Saturday. “We had a right good go at Blackpool and that’s what we need again,’’ he said. “And it’s maximum points, that’s the key, that’s what we are after.